"AT MALIBU MOTORS WE WELCOME YOUR VISIT FOR ANYTHING MERCEDES"
We are your quality Mercedes Benz experts, serving the Santa Monica and neighboring Pacific Coast areas with integrity for over 33 years! With over two decades of personalized, reliable and affordable service, our excellent team of automotive technicians has provided our customers and celebrity clientele with the highest caliber of thorough and refined Mercedes Benz repair work since 1979. Built on a reputation of friendship, trust and prompt dependable service. Malibu Motors is your leading "Independent" Mercedes dealership alternative, specializing in all phases of the mechanical and electrical Luxury Vehicle maintenance. 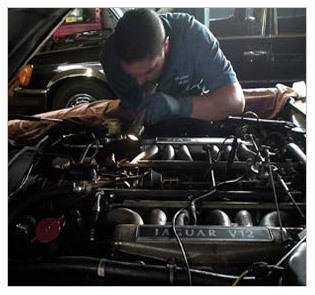 We are experts in automatic transmissions, as well as, the complete restoration of your favorite classic Mercedes roadster or sedan and Malibu Motors offers the latest (in house) diagnostic equipment and computer controls necessary to service all Mercedes models and makes, up to and including model years 1997 to 2012. We honor most extended warranties making Malibu Motors the ideal Mercedes Repair Shop for your "just out of warranty" or extended warranty vehicle. For all minor or major repair work, you can rely on the craftsmanship of Malibu Motors, where all of our work is backed by a written guarantee. Between Euclid Street and 14th St. on Colorado Ave.1/2 Mile East of Lincoln Blvd.